The main objective of the NAMO Scheme is to facilitate the students of the state with technology and advancement regarding education and knowledge. Consequently they will be able to contribute their knowledge in economic and social growth. NAMO Scheme is for the college students. Those who have cleared their 12th class board exams and admitted to first year in college will get the benefit of this scheme. Beneficiaries are required to deposit Rs. 1000/- to the Tablets under this scheme. It is said that the tablets are available in the market at Rs. 8000/- to Rs. 9000/-. However the students will get them at Rs. 1000/- only under this scheme. There will be two companies who are being selected as the suppliers of such Tablets. They are Acer and Lenovo respectively. The Gujarat state government has not been finalised any name yet. It has been said that nearly 3.5 Lac students across the state will be benefited with the scheme. As of now more than 154960 students have already registered with the scheme. The initial budget for the scheme has been allocated as Rs. 200 Cr, stated by the CM of Gujarat. This amount will be used for the women empowerment program and the e-Tablet Sahay Yojana as well. The scheme is for the students who have passed through 12th standard from any recognised institution or board. The student must be in the first year in college. Polytechnic Students will also be eligible for the students. Students from low income group will get the benefit of the scheme. Those who are socially and economically backward will be eligible. The college / University / Institution will have to provide the details of the eligible students to the Digital Portal of the education department of the state of Gujarat. Students are needed to deposit the money to the head of the colleges / institutions/ universities. The heads will produce a receipt against the payment. The deposited money will be with the authority of the institution. Once the payment is being collected and receipts are being generated, institutions and colleges can start with the registration process. To register a new student, the college authority has to click on the following link https://sje.gujarat.gov.in/showpage.aspx?contentid=1&lang=English. In the website under the tab ‘Add New Student’ the college authority has to enter the basic details of the students such as name, contact number, marks obtained, category, date of admission, subjects, admission number and so on. After doing that the Board and Seat Number are to be mentioned in the next box. This will help the authority to find out whether the student is already registered with the website or not. If the student is already a member, then you can easily view the registered institution under the details of the registered student. If the student is not registered with the website then enter the payment and receipt details of the student. Also add the date of payment and receipt number. Another dialogue box shall pop-up that says if all the students are enlisted or not. If no then go back to ‘Add New Student’ tab to add another student. If you are done with the students and your list is completed then prepare the report of the students. Add ‘from’ date and ‘to’ dates in the reports and generate a complete report that consists of all the eligible students who are willing to take the benefit of the scheme from your college / University / Institute. The scheme has been launched a couple of years back. Those students who have already registered with the scheme from then had already received the Tablets on the day of launch this year. The new registered people will get them later. 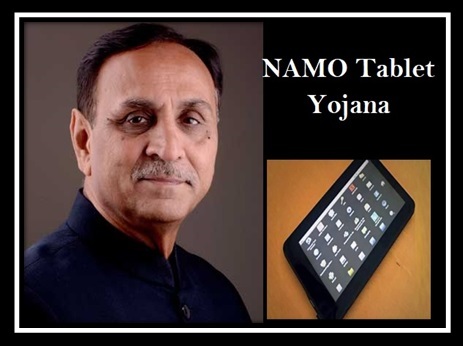 NAMO Tablet Scheme is started to make the student more tech-friendly and also make them prepare to handle gadgets like computer, laptop, iPAD, Smartphone and such. tablet kitne dino ke bad milta hai?